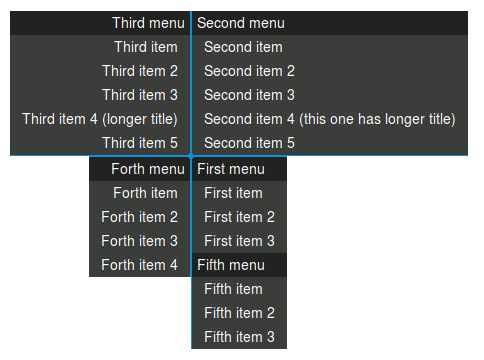 Context menu is usually sparsely used, as it might contain just a few items or will quickly overflow out of the screen. How about, if we place more then one menu when right clicking? Where to put it? Simply around clicked spot - that's it. One for each corner.